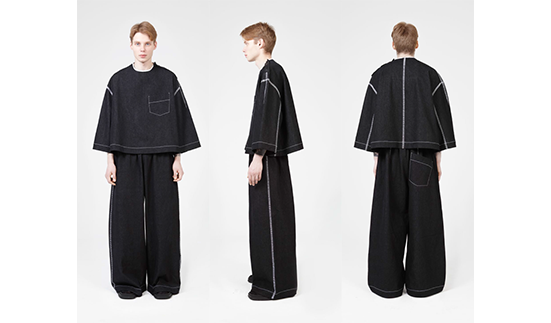 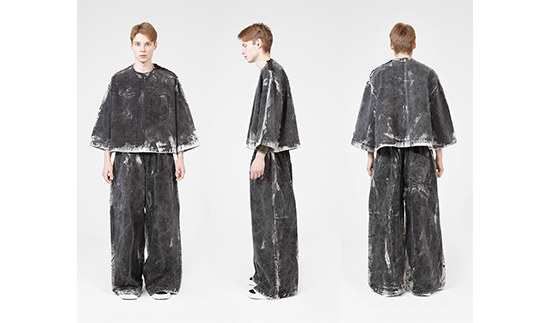 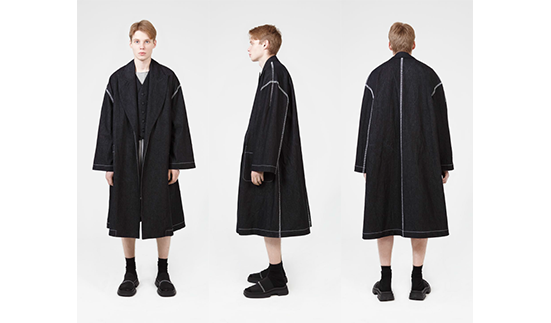 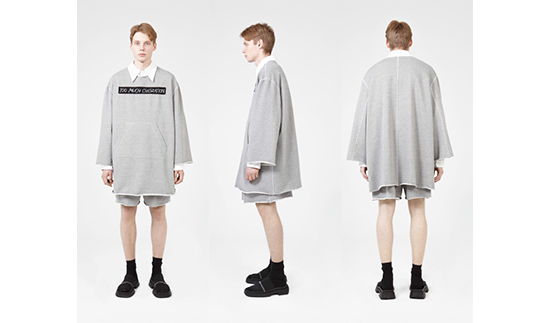 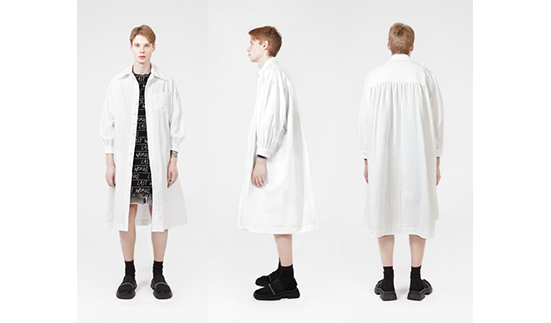 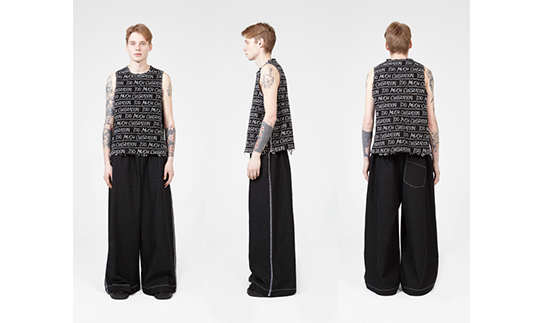 Moscow-based Tigran Avetisyan has unveiled his 2014 Autumnn-Winter collection, the second ever for the young menswear designer. 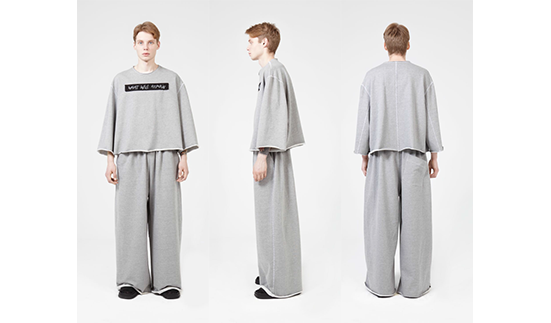 The collection follows Avetisyan's signature combination of voluminous shapes, heavily textured materials and catchy slogans. 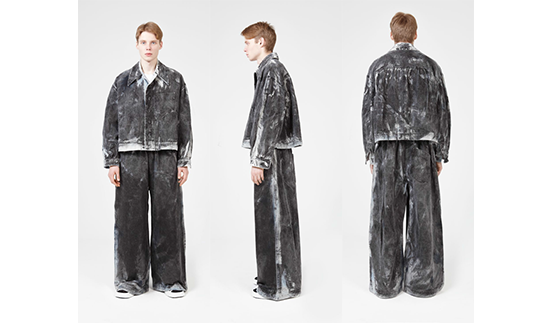 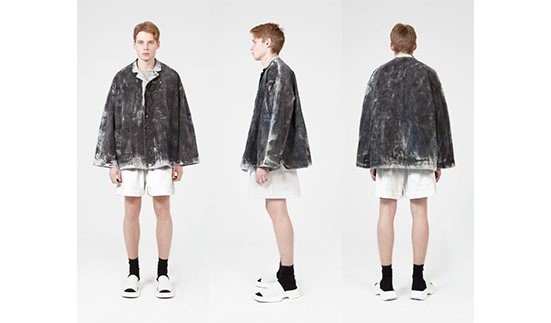 The designer's debut collection of light denim jackets covered with black paint and downbeat logans like “Nothing changes” and “No jobs” was picked up by international publications such as Vogue Italia. 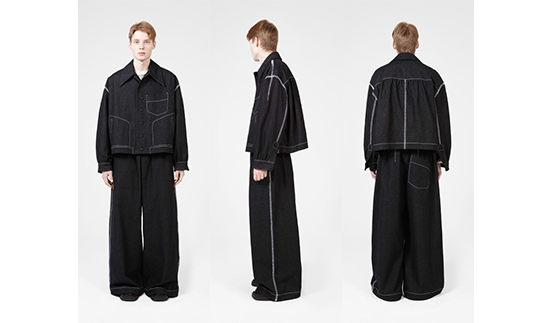 This season Avetisyan has kept the black paint but switched to dark denim and soft grey jerseys as he looks to challenge the conservative menswear silhouette. 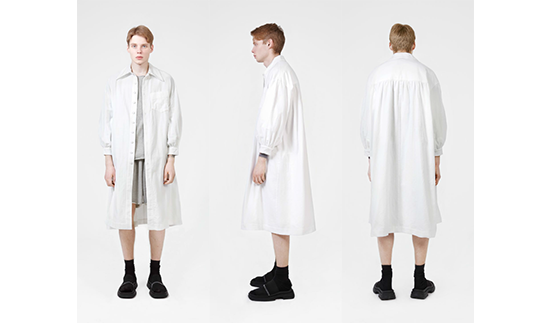 Avetisyan graduated from a course in menswear from Central Saint Martins in 2012 with a scholarship from the LVMH group that owns brands such as Louis Vuitton. 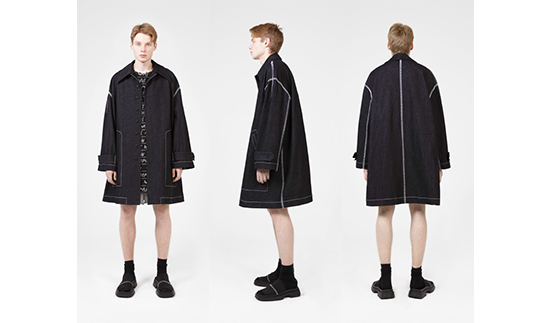 After his graduation, he moved back to Moscow where he launched his eponymous label.